Set in the Picardy area of France during four months of the last year of WWI and written with gorgeous, evocative prose, debut novelist Lance Ringel’s story of war and the love of two young soldiers is a book that will ring in your heart long after the last pages have been read. 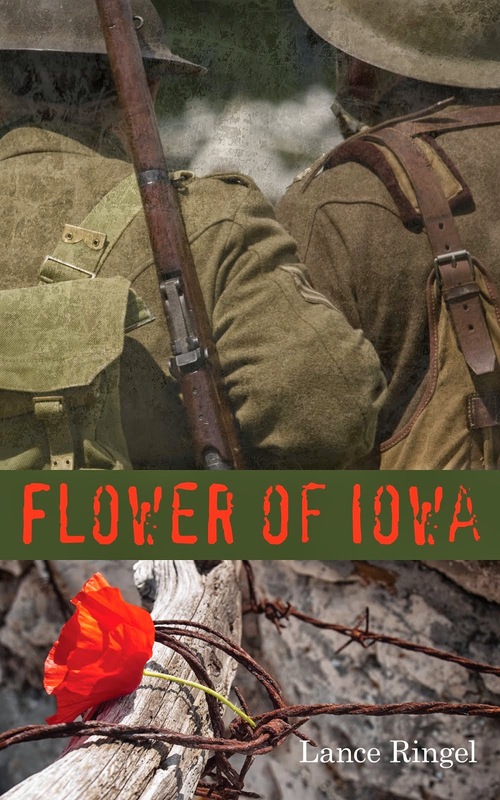 At the center of Flower of Iowa, which moves through the unprecedented terrors of battle with its trenches, explosives and bloody brutality, is the love story of Tommy Flowers, the American from Iowa and David Pearson, from a working class family in a small town in Somerset, England. They are both 18; neither has had any sexual experience. They only are bewildered and joyful at the tenderness they feel for each other and know of course that they must hide it. Though their love is new, they plan for a life when the war ends. David has some innocent notion that Tommy should marry David’s sharp-edged sister so they can continue their own love affair in secret while working in David’s small family bakeshop. If not that, how will they stay together? David is small, wiry and strong, the last surviving of three sons; Tommy is blond, beautiful as a young god, and very loving. The war is largely seen through his eyes as he tries to bring a decent understanding to the brutalities and irrationalities of a soldier’s life and his strong sense of what is right and wrong. He tries to be faithful to the girl he left back home, even though her concept of loss is increasingly different than his; she grieves endlessly over a lost pet, while his comrades are being blown to pieces around him. Tommy’s beauty opens up a complex love triangle; Nicole, a waitress in the local tavern, becomes pregnant with his child though he does not love her (she adores him, and calls him by the French word for flower, Fleur) and their one-time encounter is mere impulse. However, Jamie, Tommy’s commanding officer, loves her absolutely. Jamie is the most complex of the characters; an Australian, he moves easily between armies, quite a brilliant soldier. He also loves Tommy, but as an older soldier guiding and teaching a strong young one. But he adores the French girl. Of the dozens of fascinating characters, the Canadian nurse Sister Jean stands out as someone who sees the love of David and Tommy and comes to their aid. Another commanding officer, Billy Sands, is the heart of a long scene sequence in which he is terribly wounded with shrapnel inside his body which the medics cannot reach, and he is transported first by stretcher and then ambulance over rough routes to reach a hospital to save his life and, if that succeeds, to send him back to America. One of the stretcher bearers is a sixteen-year-old prisoner of war, a German boy, beautifully drawn, the war having wounded him in a way from which he will never recover. The descriptive writing is exquisite from taverns to muddy roads, English fields under a pure and starry sky, little tragic English towns decimated of most of their young men and impoverished in every other way, crowded train stations, French villages utterly destroyed, the plague of lice and rats, the deep mud of the warfare, the blind unknowing of what lies ahead when the men crawl in darkness past corpses in the mud, the vivid laughter of the soldiers and the sudden silence of their death. When David and Tommy quarrel over Tommy’s involvement with Nicole and one storms off, I was terrified they could never find each other again. By this time, they love each other so much they would die for each other. And who will understand? And who, terrifyingly, will absolutely not? I was crying of course at the end and several times in between. 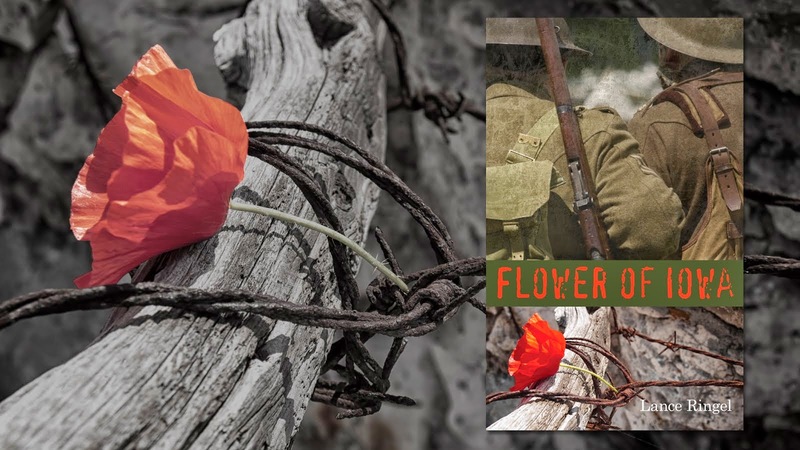 Flower of Iowa is an utterly beautiful book of deep love in the midst of war. 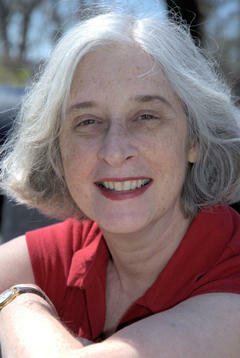 Stephanie Cowell is the author of five acclaimed novels, from the Elizabethan NICHOLAS COOKE about a boy actor who wants to be a priest and doctor to CLAUDE AND CAMILLE, the story of the birth of impressionism and the struggles of the young Claude Monet and his love for his troubled muse Camille. She is a recipient of an American Book Award. Her novels have been translated into nine languages, made into an opera, and optioned for a film.